Flexible, re-useable face painting stencils. The unique stencil shape and flexibility makes the design easy to apply around the contours of the eyes and face. 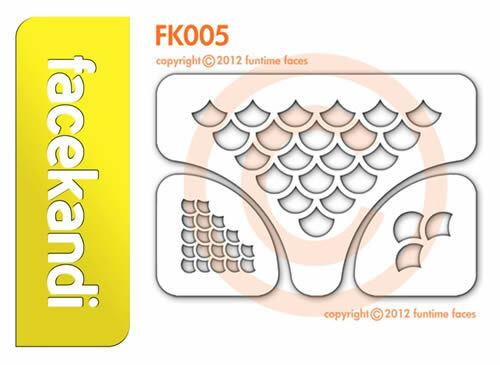 Each Facekandi stencil sheet is 14 cm x 10.5 cm, and is made up of at least 3 separate pieces.